On behalf of Team Grace, we welcome you to the MCCW Northeast Regional Retreat at Malvern Retreat House in Pennsylvania. 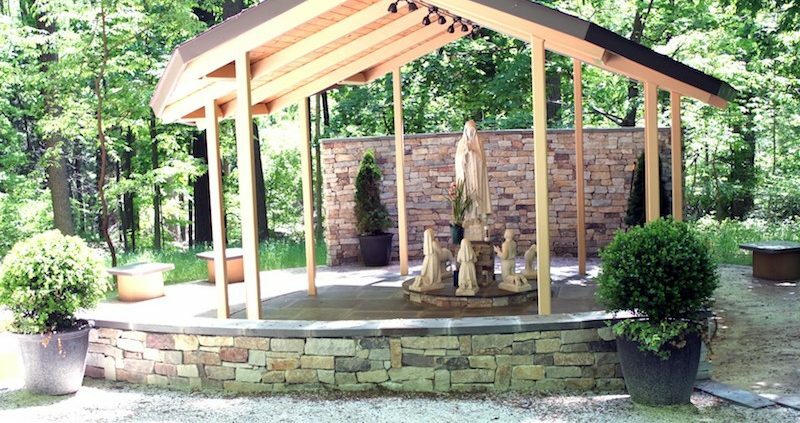 Malvern Retreat House has been described as, “a spiritual sanctuary in the hills of Malvern.” As you prepare for this retreat, we invite you to focus on the word GRACE. What and where will the graces bring you to in your faith journey? Will this retreat provide you with quiet time for reflection and meditation? Or UNITE sharing times with other sisters in faith? Your retreat time will be blessed with the Adoration, Sacrament of Reconciliation, Illuminated Rosary, Divine Mercy Chaplet, and Mass. Your retreat will have incredible speakers including MCCW leadership, past and present, and a very special guest speaker to INSPIRE you in your faith journey. You will have time to CONNECT with other ladies, whether on an early morning walk, sharing a meal, or while listening to our speakers. During our time together, we will also have discernment for the 2019-2021 Northeast Regional Board. Visit our website for more information about discernment and prayerfully consider serving the Northeast. Team Grace Captains, Denise Hummel and I, are looking forward to seeing you at the 2019 NE Regional Retreat. Together we shall CONNECT*UNITE*INSPIRE each other in faith! All registrations must be completed on Eventbrite by midnight on 8 March 2019 EST. Registering early is critical as the availability of rooms are limited. Unfortunately, we are unable to block rooms. In an effort to maximize attendance, ALL ROOMS WILL BE DOUBLE ROOMS OCCUPANCY. Please be prepared to choose a roommate upon registering. -$90: 1 day (Saturday) Day Tripper includes the meals, guest speakers, and all MCCW swag items. Please indicate, on your registration, if you have any food allergies. 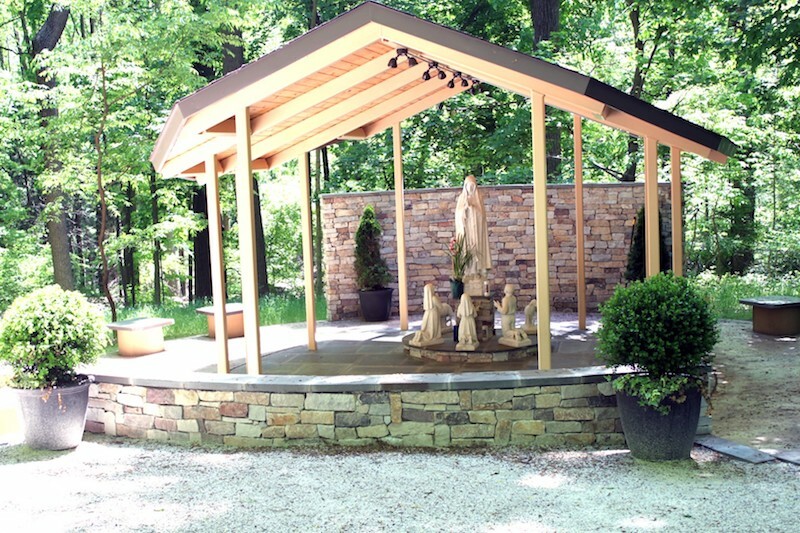 NOTE – PLEASE CHECK TO SEE IF YOUR CHAPEL WILL FUND YOUR RETREAT BEFORE YOU PROCESS A PERSONAL PAYMENT. IF ANY PORTION OF YOUR REGISTRATION WILL BE PAID WITH CHAPEL FUNDS, PLEASE CHECK THE “MAIL-IN/INVOICE” PAYMENT OPTION. NO REFUNDS TO PERSONAL CREDIT CARDS WILL BE ISSUED AFTER PAYMENT HAS BEEN PROCESSED. If you have other questions, please email our Northeast Regional Registrar Courtney for more information. All room are double occupancy. The rooms at McShain-Horstmann Family Life Center have a single and double bed with a private bathroom and air conditioning. The rooms have a mirror, desk, chair, and clothes rack. Bedding and set of towels with hotel size bar soap are provided. Handicapped-accessible rooms, for those who require the accommodation for a wheelchair, may be available upon request. All rooms to include retreat site are no smoking. Bring personal items, spiritual items (rosary, bible, veil/pashmina), toiletries, medication, jacket and any additional comfort items. We also recommend bringing earplugs if you have trouble sleeping with roommates. All roommate preferences should be noted on Eventbrite. Please ensure your preferred roommate indicates you as her roommate also. If you are attending and do not specify a roommate, Courtney Power, Retreat Registration Chair will assign a roommate. At Malvern Retreat House, we meet each of our visitors where they are, offering them a quiet and healing respite from the demands and distractions of everyday life. All who set foot on our grounds are immediately touched by the peace and beauty they find. When we gather in March, we’ll plan to arrive beginning at 5 p.m. on Friday, 22 March and our closing Mass will conclude at 12 p.m. on Sunday, 24 March. Please don’t show up earlier as there is another event going on at the center. Please consider bringing cash/checks as there will be items available for purchase and daily mass offerings taken during the retreat. Malvern Retreat House is located at 315 S. Warren Avenue, Malvern, PA 19355. The Main Entrance is found on South Warren Avenue, opposite Malvern Preparatory School. Driving directions use of Google Maps from your location to the Malvern Retreat House. The Malvern Retreat Center welcomes “Nursing babies … no mobile children or toddlers”. A mobile child is beginning to crawl and/or beginning to walk. As per the Retreat Center policy, no children under the age of 18 are allowed in attendance. Please note this policy is the ensure the safety of all attendees. Meals include 1 dinner meal on Friday, 3 meals on Saturday and 1 breakfast meal on Sunday. Serving times: breakfast at 8 a.m., lunch at noon, and dinner at 6 p.m. It also includes coffee and tea during the retreat. Please list your dietary needs in your registrations. Registration is complete when payment is received. The Registration Fee is not refundable. However, we do understand unexpected situation occur. You are able to transfer your registration to another woman. Please contact your regional coordinator if you need to initiate transfer of your registration. Please dress comfortably but with a spirit of respect for the spiritual nature of the retreat facility. Temperatures in March will range from 50 high to 32 low. Please consider bringing a sweater or light coat, rain jacket/umbrella and comfortable shoes for walking the stations of the cross. We will have discernment for the MCCW Northeast regional board. Here is a link of available positions and a contact sheet for you to review. More information will be provided at the retreat regarding discernment and the positions.